Did you pick your favorite male A name from the previous post about The Very Best A Names for Boys and Girls? I did. And I will be featuring it right now. Alistair is the anglicized form of the name Alasdair which is the Scottish version of Alexander. See the similarities between the three names? There are other brother-names drawn from Alexander like the Arabic Iskandar, the Finnish Aleksanteri, the Irish Alastar, the Russian Aleksandr and the Ukrainian Oleksander among many others. Alexander itself comes from the Greek Alexandros which means "defender of men". Of course, Alexander is a Greek mythology name (another name for the hero Paris) and a biblical name (found in the New Testament). The most famous bearer in history was Alexander the Great. It has also been used by kings of Scotland, Poland and Yugoslavia, emperors of Russia and eight popes. However, the English Alistair doesn't have any big namesakes. There are many modern people who wear the name though, which you can read about here. 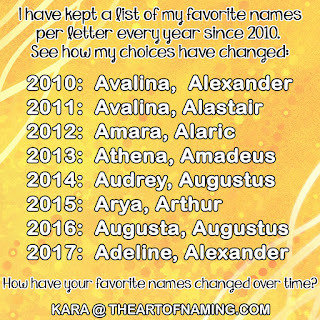 Alistair can also be spelled Alastair, Alasdair or Alister. It can be pronounced either al-uh-STARE or AL-iss-ter. Interestingly, there is a Scottish Clan MacAlister which is another cool name option. The featured spelling, Alistair still ranks outside of the Top 1000 names in the US. It was first used in 1956, then 1964 and not again until 1969. It has had a small increase in usage since the late 2000s and currently ranks #1305 in 2013 with 131 births. However, it ranks fairly well in England and Wales. Alister gained usage in 1982 and was given to 57 boys in 2013. Alastair popped up in the US as early as 1922 but it didn't gain regularity until 1969. It remains the least-popular anglicized spelling with only 27 births in 2013 even though it was first used earlier than the other spellings. The Scottish Alasdair is even rarer, popping up for the first time in 1989 before being inconsistently used. Only 20 boys received this spelling in 2013. Whoops! Avery should be on the boy list, not girl! I love all of these names! I think I would have to go with the Scottish Alasdair though! Not liking any of the boy suggestions. I voted for Alasdair, but I think my true favorite is Alasdhair. My baby is named Andrew so obviously I love it. The only downside is now I can't use Annie - my favorite girl "A" name. I'm a huge fan of the more archaic names! I love your list and appreciate the research you put into this! My great grandfather was named Franko Deco Ello Sebastian Corbott Montgomery! His mother was an avid reader! I am 75 years old, so he lived long ago.